This method is not appropriate for ShadowProtect Cloud accounts. 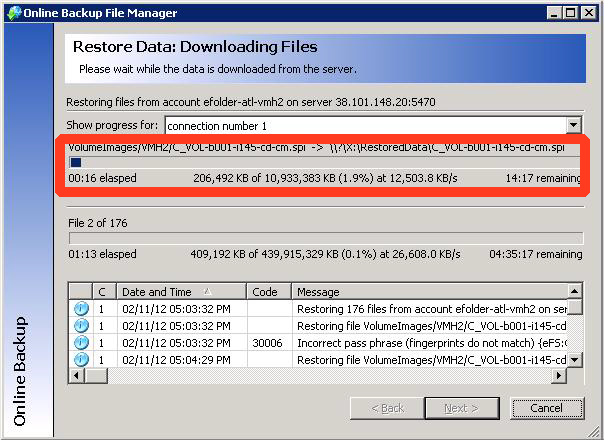 When you use Axcient's Online Backup File Manager to decrypt your backed up ShadowProtect data, communication will happen across Axcient's internal data center network. This means you will enjoy much faster transfer speeds than if you were restoring over the Internet. Step 1. Launch the Online Backup File Manager using the icon on the desktop. Step 2. 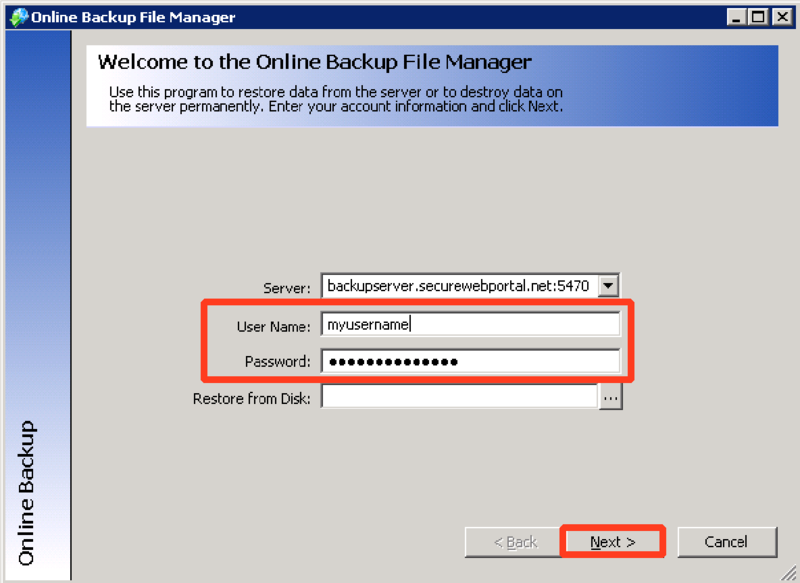 Login using the Online Backup File Manager User Name and Password associated with the BDR to be restored. 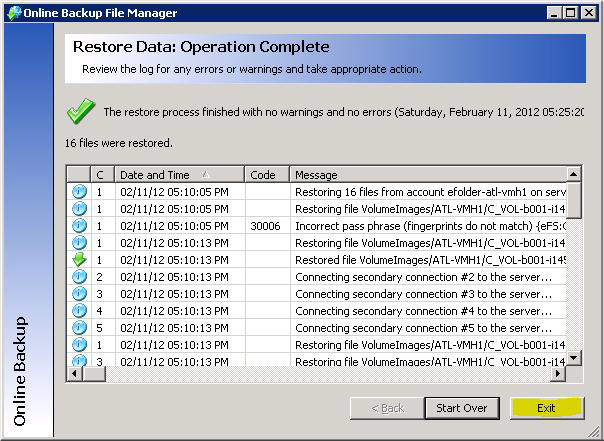 If you have multiple BDRs to restore, repeat this section of instructions for each BDR. Click Next to continue. 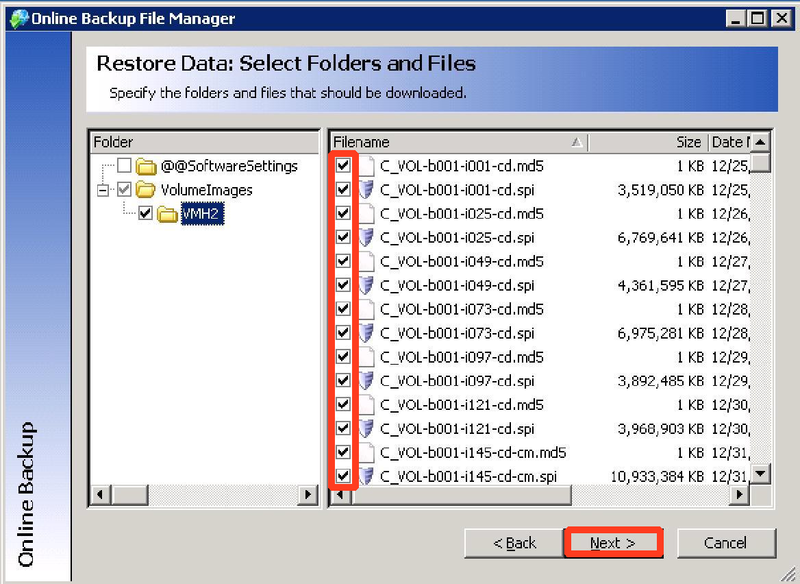 Uncheck the box Include deleted files in search. 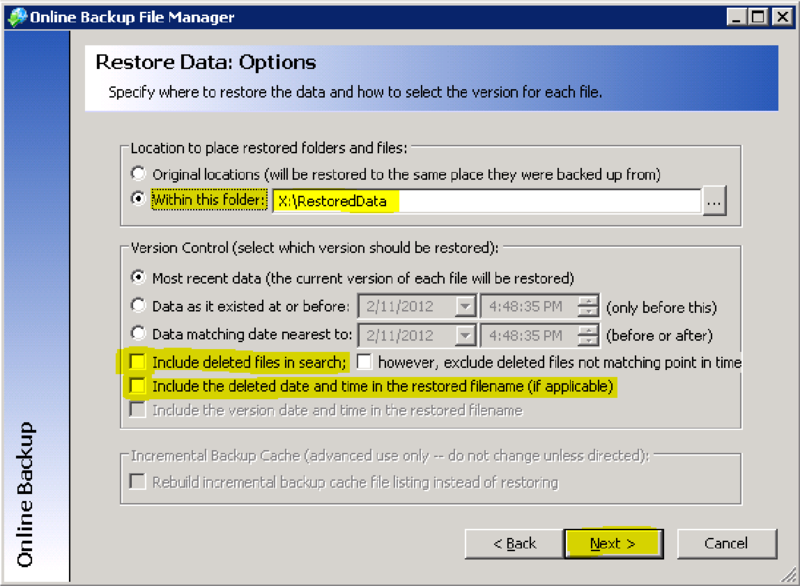 Uncheck the box Include the deleted date and time in the restored filename. Step 7. 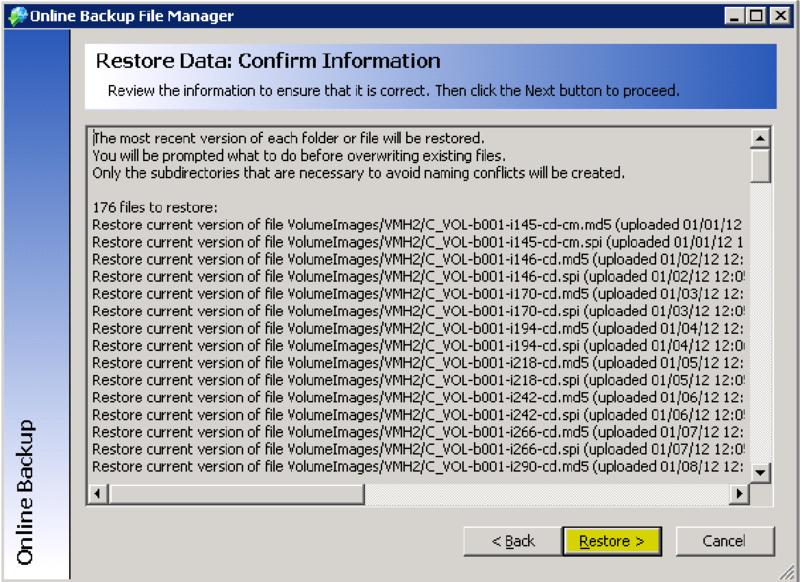 The list of files to be restored will be built as you wait. 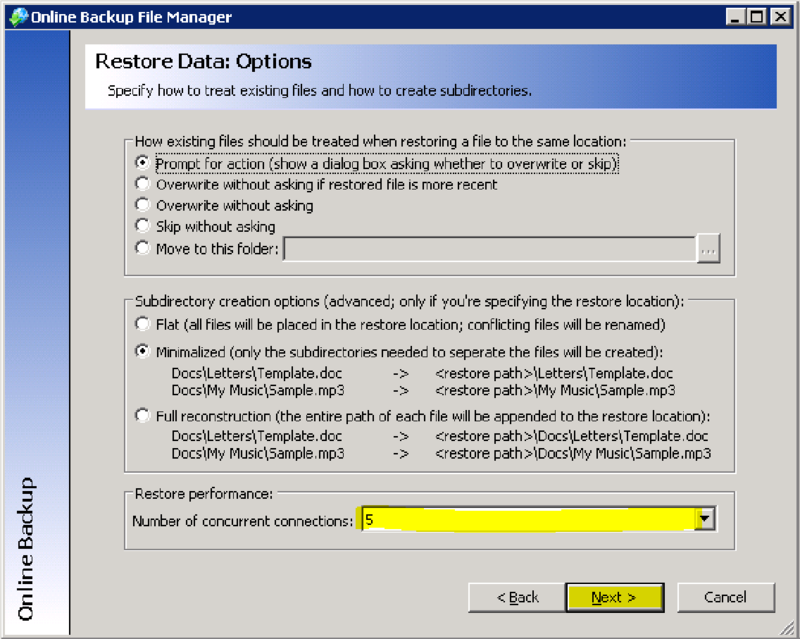 To start the restore (decrypt) process, click Restore. Step 8. 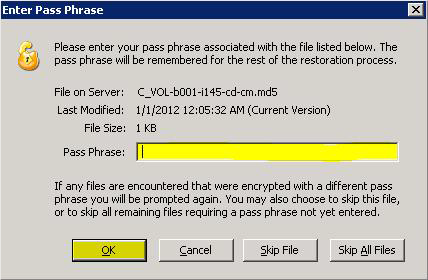 You should be prompted to enter your encryption Pass Phrase immediately . Enter the correct encryption pass phrase for this account, and click OK.